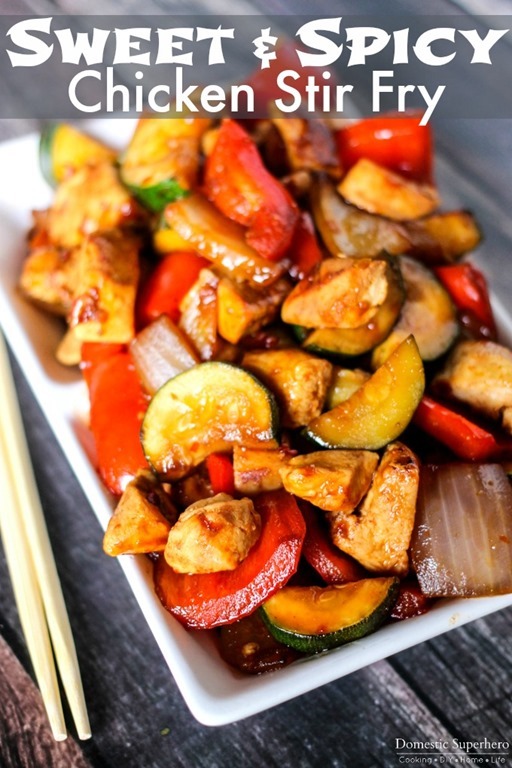 Sweet and Spicy Chicken Stir Fry is a blend of fresh vegetables, chicken and a delicious sweet and spicy sauce! Only takes 20 minutes to cook so is the perfect busy night meal! 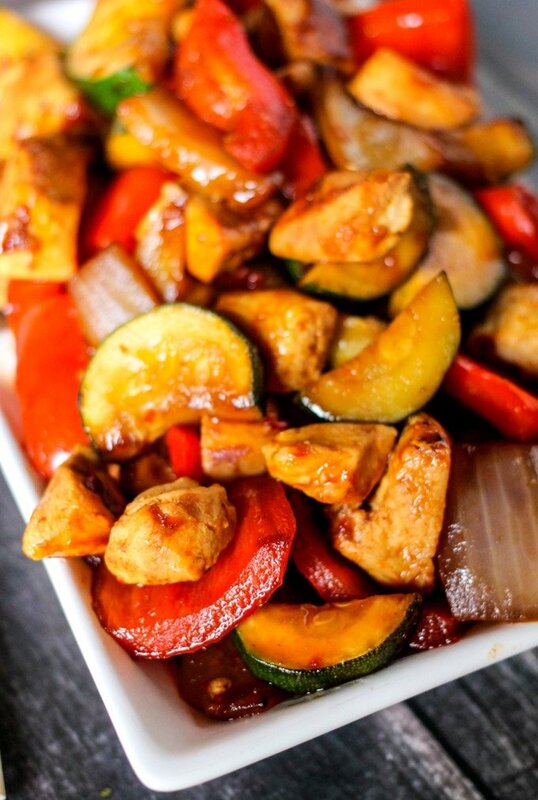 I have a super simple recipe for you today, Sweet & Spicy Chicken Stir Fry! It only takes about 20 minutes to cook, and it’s healthy and delicious. It’s an easy recipe to pick whatever vegetables you like, and you can substitute a different meat, or leave out the meat, depending on your preferences. 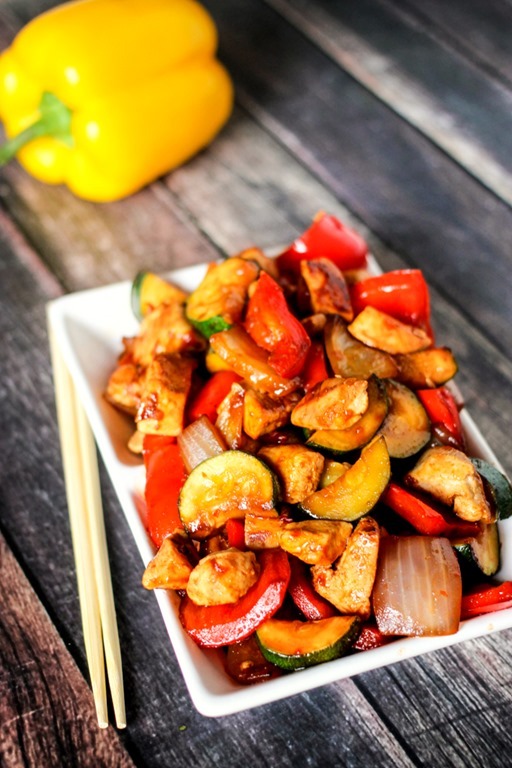 I love the combination on peppers, onions, and zucchini in this recipe, so I highly recommend it. I do think it would be great with mushrooms, more peppers, or carrots. 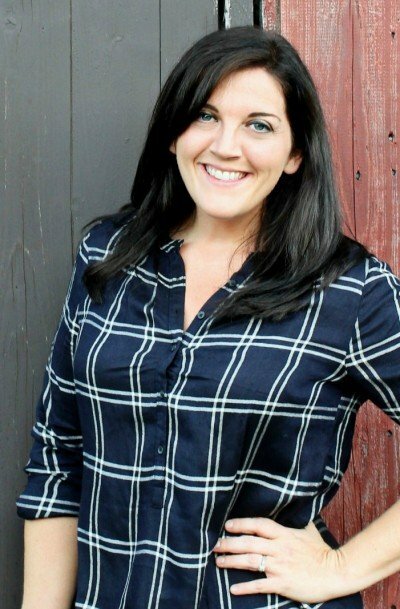 If you need a quick and easy weeknight dinner, this is it! 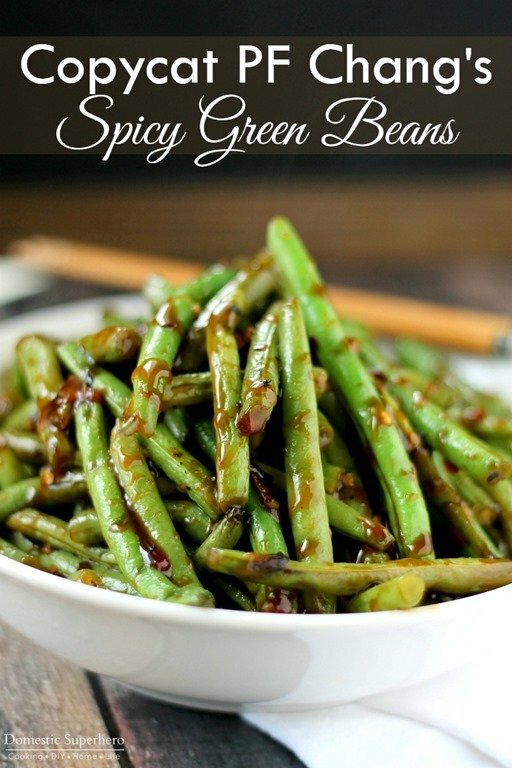 Tasty, easy, and healthy – what more could you want! 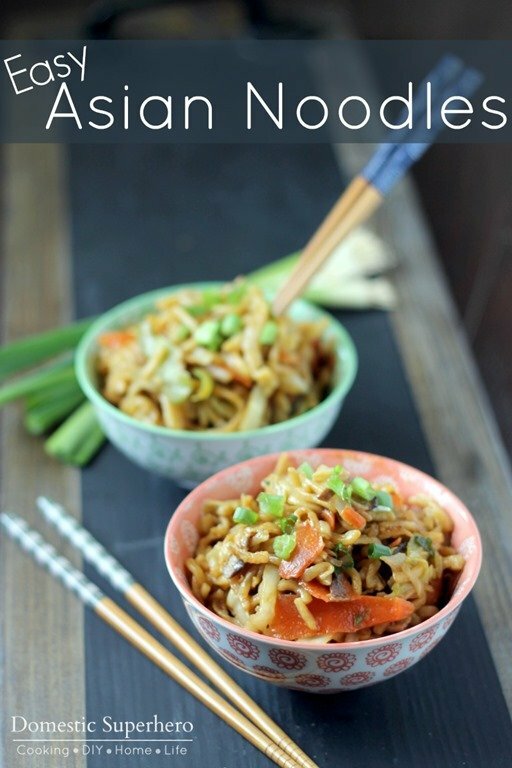 Serve this over rice or quinoa…even with some rice noodles it would be really yummy! 1. 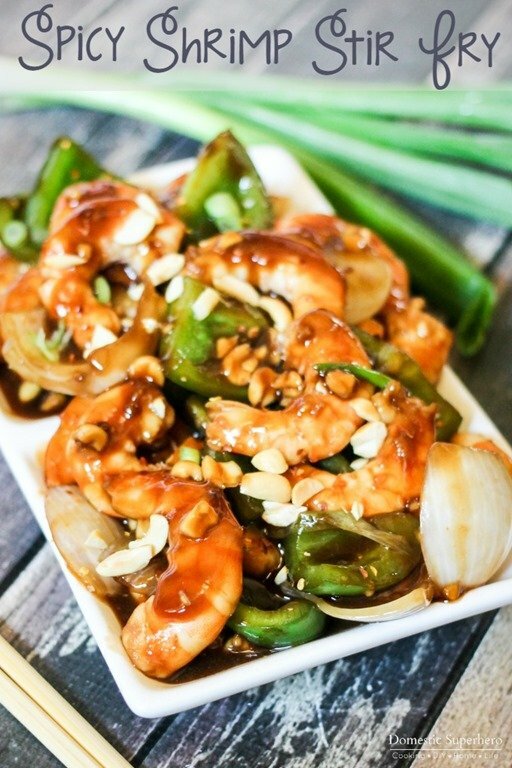 In a medium bowl, mix soy sauce, hoisin, rice win vinegar, sesame oil, srirracha, brown sugar, garlic, and ginger; whisk well to combine; set aside. 2. In a large skillet sprayed with nonstick spray, add chicken and saute until cooked through, about 7-8 minutes. Remove from skillet and set aside. 3. Spray skillet with nonstick spray again, add red pepper, onion, zucchini and saute until just tender, about 3-4 minutes. Add sauce misture to skillet, and stir to combine. Turn heat to high. Mix cornstarch and water in a small bowl, and add to skillet once the sauce is bubbling; stir to combine. Simmer for 30 seconds to 1 minutes, or until the sauce thickens. Remove from heat. This 20 minute deliciousness is calling my name. Or that’s just my stomach growling. Either way, this looks incredible! !